If you haven’t already read my first impressions of Battlefield Bad Company 2 (BC2), you should head on over and take a peek before you read any further. Having now accumulated 48 hours and 36 minutes in BC2, I’m confident I have played enough to form a valid opinion. I haven’t yet completed the single player campaign, having invested less than eight hours into it, but no one really buys a Battlefield for the single player anyway. To get it out of the way quickly, BC2’s single player campaign is “OK”, with Modern Warfare’s distinctly better. Don’t go expecting anything revolutionary, but if you’re tiring of the online play and fancy some solitary confinement with stereotypical comrades, look no further. 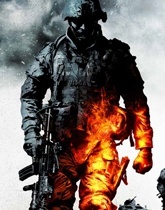 Battlefield Bad Company 2 is a carbon copy of DICE’s previous approach to the genre; two teams slugging it out over an area of land, attempting to complete objectives, either as the attacking or defending team, capturing control points or destroying MCOM Stations. Rush is a fantastic game mode; the playable land mass expanding after the attacking team successfully destroys the first of a series of MCOM Stations gives a great rolling feeling for the attackers and a building sense of dread for the defenders. 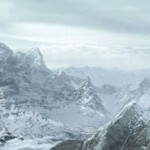 Improvements to the Frostbite Engine means that 99% of each map is entirely destructible, the remaining 1% which is indestructible is the ground, and some permanent structures. The changes add an extra layer of tactical depth and satisfaction that is unrivaled within the sub genre. The restructure of the classes has reduced the number to 4; broken down into Assault, Engineer, Recon and Medic. This refinement to the classes has created clearly defined, streamlined roles that does encourage teamwork. You can now choose various load-outs alongside your primary and secondary weapons; some increase your body armour or your explosive damage, to improving your weapon accuracy or the speed at which your medikits heal. However, because only two can be equipped at once, sacrifices have to be made (you cannot have a greater healing med kit, alongside a scope for example). Level design is flawless, with huge expanses of land that are intricate in execution and which give each class its own method of approach. No map feels ill thought out, and all offer a level of tactical depth for the attacking and defending teams that keep the players interest. The graphics are also fantastic. Newly added vehicles and the overall reduction of tanks on each map has given greater emphasis to infantry warfare and has increased the importance of vehicles when they are in use; they can quickly turn the tide against a team who hasn’t prepared for them. Bullet drop and having to take into consideration gravity when firing over long distances is wonderful. The implementation of the knife as an instant attack, akin to Modern Warfare, creates a satisfying weapon that is frequently used, while the acquisition of a players dog tag after killing them with the knife is a nice touch. Battlefield Bad Company 2 is a carbon copy of DICEs’ previous approach to the genre and does little to revamp the series. Dynamic mission objectives like Quake Wars would have been a welcome addition. Two out of the four game modes have very little purpose (Squad Deathmatch and Squad Rush). The Medic still surpasses every class. With enough weapon unlocks you can have the firepower, and the ability to self heal alongside an unrivaled ability to acquire points (+50 for resurrecting a fallen player, +80 for resurrecting fallen squad members and +10/20 points per heal, per player). The defibrillators are too quick to recharge and too easy to use, with no side effects to the player being resurrected. The Medic needs to unlock the Med Kit and Defibrillators before they can help players. The reduction of primary attack vehicles such as tanks and helicopters at times significantly reduces the role of the Engineer in a defensive and offensive capacity. An Engineer should have the ability to rebuild gun emplacements that have been destroyed instead of having to wait for them to re-spawn. No ability for the player to go prone undermines the use of terrain for classes using heavier weaponry (Medic) and those reliant on stealth (Sniper). Some weapon balance issues; specifically with an Engineers Rocket Launcher and notorious “tube attacks”, as well as the Assaults instant-gib Grenade Launcher. Do we really need a weapon unlock system that only serves to make the online experience more difficult for those just starting out? The best weapons are all too often towards the end of each classes weapon unlocks. The new context command system is incredibly annoying. To issue an order a player needs to point at an objective and press the command key, which will automate a response dependent on if you are attacking or defending. If you need to request ammunition or a medic you need to target a player of that class and press the command key. It is incredibly clumsy to use and too simple in its approach, and doesn’t work well in vehicles. It is also incredibly difficult to target a classes miniature icon; you can often find yourself dying next to a Medic unable to call for help. What was ever wrong with holding down your command key to bring up a directional menu, and using a directional key to shout out an automated response? Too many weapon unlocks are redundant. So there you have it. After 48 hours and 36 minutes in BC2 those are my positive and negative points. Without doubt DICE have continued to refine the sub-genre and have created the best team based, squad based shooter you can buy. Far greater than Modern Warfare’s multiplayer, and as much fun as any of the previous Battlefield series, no online enthusiast should be without a copy. Forget the single player experience, that’s evidently not what DICE does best (yet), however there are countless hours of fun to be had from the multiplayer. Many of my negative points are minor and can be addressed by DICE via patches over the coming months, however I can’t help but think that some of the changes are as a result of the original Bad Company being born for the console market. Although an opportunity missed for the series to seriously expand on it’s existing foundations, DICE now run the risk of creating a franchise which sees only minor incremental changes that may eventually push players away. 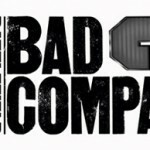 Lets hope they really push the boat out for Bad Company 3. Lewis, good points, though I disagree on the game’s upgrade system. It is true that many of the weapon upgrades are only marginally better or even only slightly different, but I think the emphasis here is twofold: 1) It offers players choices between accuracy, damage, and fire rate, and 2) It prevents too much “power-creep” with the weapon upgrades. In regard to the first point, I think the incremental upgrades and “sidegrades” give me more room for player preference, as opposed to a “I’ll just always take the upgrade because it’s always better” mentality. As to my second point, if every weapon was only marginally better than the one prior, the game’s final weapons would be so much more effective than the early ones that long-time players would enjoy a game-breaking equipment advantage over relative noobs. As is, veterans do indeed enjoy better weaponry and equipment, but not so much as to destroy game balance. Great review and first impression, thanks, Lewis! I do agree though that for the most part balance is very good, regardless of rank with the Medic benefiting a great deal from later weapon choices. On a side note maybe we should join up online some time? I thought your format was simple, direct, and added nice variety to our more traditional reviews on the site. It acts as a supplement to your thorough first impressions article and performs the job well. As for the medic, you are the second of my acquaintances to assert he’s the most powerful of the bunch. Since it seems to be the least-played class in most squads, I’m thinking DICE tried to use his power to encourage players to play this critical role. It doesn’t always work–I often find myself playing a medic in public games because we have two recons and one assault. And we definitely should hook up online, though I’m playing on a PS3. My problem with a pros/cons system is that some things aren’t that black and white. Thankfully your points were justified so they fitted into one or the other. I’m a little dismayed with the reduced vehicle numbers and the impact that has on the engineer player class. Is it quite noticeable when playing as an engineer? I’ve never really liked the way some players selfishly take a vehicle without passengers and in some cases just ditch it near a flag anyway, so I appreciate the shift in emphasis but I hope the engineer has other uses or is at least capable of scoring big when it comes to destroying/repairing vehicles. The complaints about vehicle ‘whoring’ is a moot point because quite simply: that’s what they’re there for. It’s the teams fault if they can’t adapt quickly and take down a troublesome tank, chopper, etc. EDIT: I’ve got to say, the format makes the review remarkably quick to read. As Jason says, it compliments a first impressions well. @ Gregg, you’ll be pleased to know that when playing the Engineer, I have never not been top of the leader board. Due to the destructible scenery their rocket launchers are amazing at getting people out of buildings when vehicles aren’t around. They also get 100 points for destroying a vehicle, and +10/20 points for repairing them. They have silenced weapons so they don’t give their position away also, which are very good. On a side note, I’ve never not been picked up by someone when requesting a ride, touch wood. Lewis, what system do you play the game on? If PC, I’m interested to know what you think of the menu interface. To me it seems like a cheap console knock-off simply because the escape key, also known as one of a computer gamer’s most used keys to get themselves out of menus and sticky situations, does nothing here. You just have to aim your mouse on the little yellow bars to shut the windows, which I find sad and irritating. I’ve played about 5-6 hours online now, and think I’ll be yearning for the joy and simplicity of Team Fortress 2 sooner rather than later. Though compared to Modern Warfare 2, also known as “one of the reasons I wish I could abort myself,” it’s refreshingly team-focused, slowed down, and probably 50-70% less idiot-infested. Anyway, nice review; the positive and negative points system works for a game like Bad Company 2, which itself is relatively basic and not requiring too much thought or explanation. Yeah the lack of a working escape key is very annoying, and sends me into a wild fit of rage when I accidently join the wrong server and can’t exit. For the most part though it is functional and I can cope with using my mouse for the majority of the navigation although there’s no saying DICE won’t patch it.